The number of environmental cases brought before international courts (ICs) is rising. How deal these courts with environmental laws, how well do they protect environmental rights and to what extent do they enhance or hinder the protection of the environment? In the absence of a special international environmental court, disputes, claims and requests for advisory opinions concerning environmental issues come up across the whole spectrum of ICs and in a wide range of circumstances. Interestingly, environmental cases hold a number of particular challenges that are not (all) present in other areas of law. The new book “International Judicial Practice on the Environment” analyses some of them. First, the main objective of an environmental claim may be to prevent, rather than seek redress for, environmental harm. Avoiding harm from occurring, however, might apply only within a small window of time. 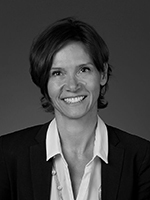 Consequently, environmental cases might be more time sensitive than other cases; a situation that sits uneasily with the slow-motion nature of international adjudication. Secondly, there are difficulties in quantifying environmental harm once it has occurred. In general, courts have recognized material and moral damage, including environmental damage, as long as it is financially assessable. For a long time, however, the question whether ICs would support the idea that environmental damage also encompasses damage to the intrinsic value of the environment, beyond resources of a direct economic value, remained an open one. Only recently has the ICJ started to evaluate environmental harm in Certain Activities Carried Out By Nicaragua In the Border Area (2018). However, the final amount of compensation assessed against Nicaragua fell significantly short of what Costa Rica had demanded. The case is nonetheless an important precedent for recognizing conservation interests and ecosystem services; yet the question of how to quantify environmental harm is still far from settled. Thirdly, environmental cases rely on scientific evidence of causes and effects: for example, which pollutants have which effects on ecosystem, animal or plant life or health. The science can be complex or unsettled. There might be uncertainties and loop-holes. In addition, there could be challenges in securing scientific experts who are willing to speak against vested commercial interests. Also, in most cases judges are trained in law and are not experts in natural sciences. There is a need to translate complex technical data into a language that is accessible to judges. Environmental judicial practice provides some examples of how this has been done and which challenges exist. These are only some of the circumstances that make the study of international judicial environmental practice relevant. 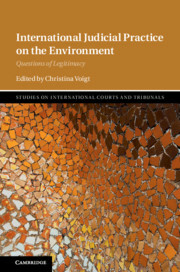 In order to grasp international judicial practice on the environment, however, it is necessary to investigate the very many various ways and means by which different international and regional courts and quasi-judicial bodies deal with environmental claims. This necessitates the study of different regional and international courts and tribunals, as well as a large variety of cases and claims. This is the aim of this book. It attempts to shed light on new developments, challenges, and possibilities and issues of legitimacy across a variety of ICs.